Mooresville, NC - (Feb. 12, 1999) - Xpress Motorsports, the team which fields the No. 61 IWX Motor Freight Pontiac driven by Derrike Cope on the NASCAR Busch Series, Grand National Division, failed to qualify for the season opening NAPA 300 at Daytona (Fla.) International Speedway. 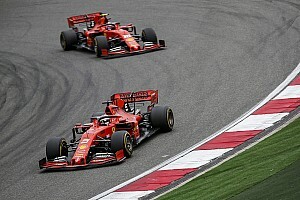 The team suffered two different and unrelated shock problems in each the two rounds of qualifying for the event. In Tuesday's first round of qualifying, Cope posted a lap of 47.805 seconds (188.265 miles per hour) which was 12th-fastest of the session. During a post-race inspections, NASCAR officials discovered a base valve in the right front shock on the car and disallowed the run. "Our front shocks were manufactured for us by Ohlins USA, Inc.," said crew chief Dave Fuge. "While we tested the shocks on our shock dynomometer, we did not take them apart and look at the pieces used to manufacture the shock. Unfortunately, they used a part that was not allowed by NASCAR. "The base valve is not a performance enhancing element of the shock," continued Fuge. "We discussed that with NASCAR following their discovery. They agreed that it did nothing to enhance the performance, but it's not an approved part. 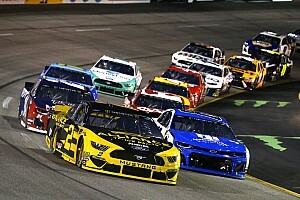 NASCAR has a new zero-tolerance rule on these things and while we lobbied for a fine, as would have been the case any other year, they disallowed our run." On Wednesday morning, the team posted a lap of 47.590 in a practice session and felt comfortable in qualifying with the second round later in the day. The lap of 48.157 seconds posted in the second round of qualifying was .034 off the pace needed to qualify for the race. 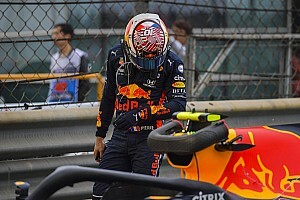 During the lap, Cope realized that something was not right in the handling of the car and after the session, the team discovered a broken shim stack in the right rear shock. "To have this good of a car and not qualify is very disappointing," said Fuge. "The worst part is the way this all looks. We were not even aware of the base valve in the shock and yet Derrike and our team are the ones penalized for it. Then to have the second shock break just makes it look worse for us." "I guess is just must not have meant to be," he concluded. "We are home and regrouping to make up for this at Rockingham and in the next few races. This is a great racing team and while I don't understand why things happen like they did in Daytona, I realize that we will have better results in the upcoming races. "Derrike, IWX Motor Freight, Xpress Motorsports and everyone involved with this team are determined to go forward and put this all behind us. 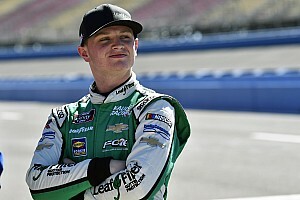 We just wish Rockingham was starting today and not next week," he said. 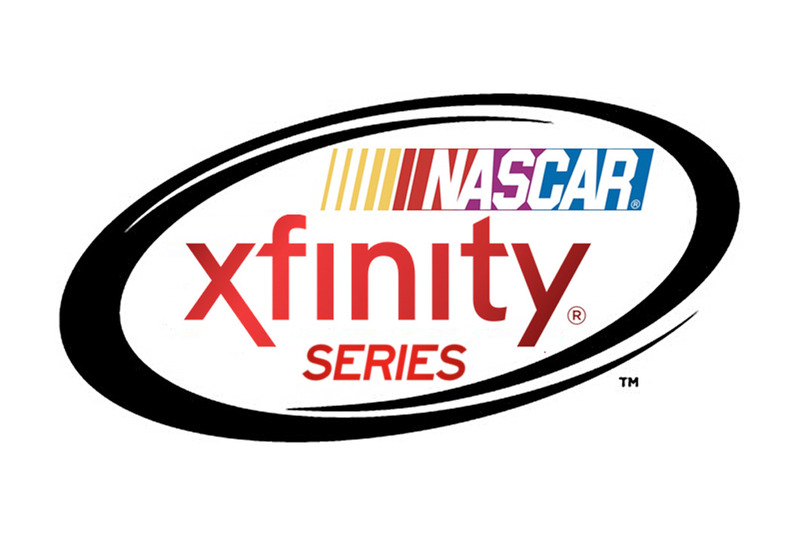 The ALLTEL 200 NASCAR Busch Series race will be held on Saturday, Feb. 20 at the North Carolina Speedway in Rockingham. NASCAR and Anheuser-Busch have announced a program to greatly enhance the Busch Series, Grand National Division in 1999. 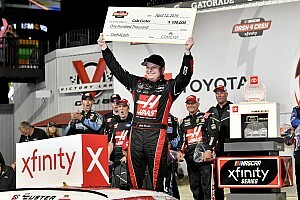 The program includes a new series logo, a complete marketing platform including Busch Series advertising and an increase in the point fund from $650,000 in 1998 to $1.5 million in 1999. IWX Motor Freight will sponsor the team throughout the 1999 season. IWX Motor Freight is a Springfield, Mo. based trucking firm with a fleet of over 400 trucks. IWX serves 48 states and annually the trucks will log over 100 million miles. The company also has terminals in Columbus, Ind. and Kingman, Ariz.